The original Apple iMac Bondi (Rev. A & B), is powered by a 233MHz PowerPC 750 G3 processor, 512k backside level 2 cache, 32MB of RAM, a 4.0GB EIDE hard drive and either ATI Rage IIc graphics processor running 2MB of VRAM or ATI Rage Pro Turbo graphics processor running 6MB of VRAM housed in a "bondi blue and ice" colored case a 15-inch CRT display and USB ports. 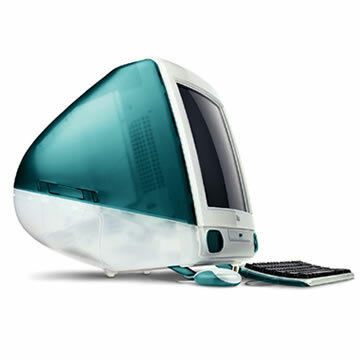 The "revision B" iMac (M6709LL/B) shipped October 26, 1998 with an ATI Rage Pro Turbo graphics processor running 6MB of VRAM.